A big, wide world of wonder. 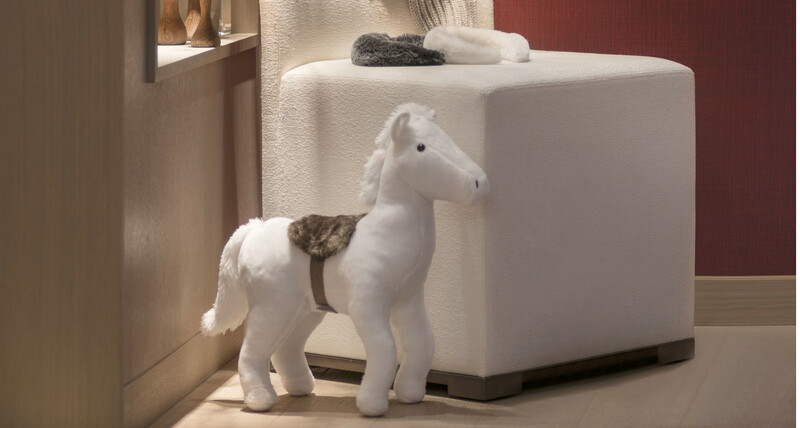 The Maison welcomes our youngest guests with a collection of specially-designed amenities and gifts. Babies are swaddled in refined equipment. Children are spoilt in kid-sized slippers and bathrobes. 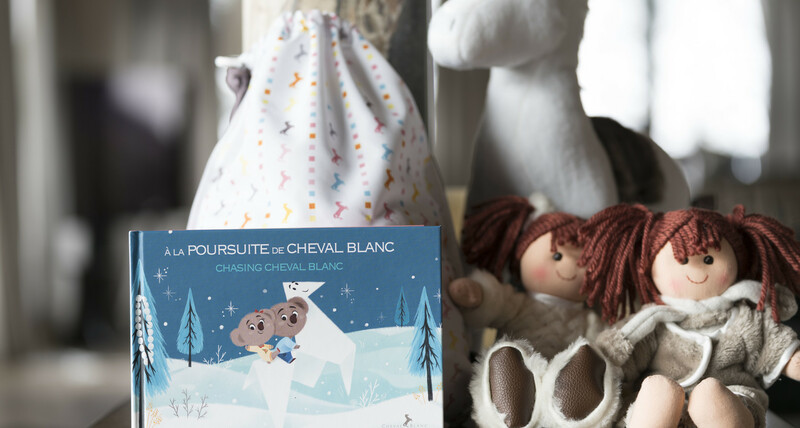 Made-to-measure baby purées and kid-friendly menus, and unforgettable family memories. 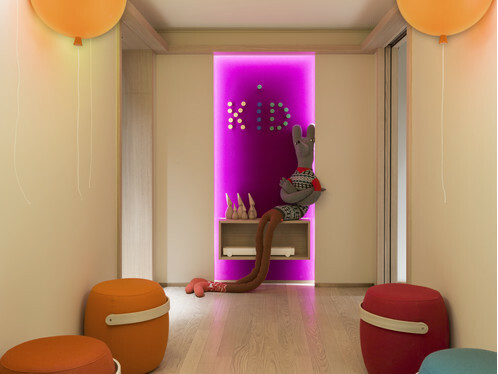 A multi-coloured felt hallway lined with balloon-lanterns leads to Le Carrousel, a kingdom fit for our youngest guests. 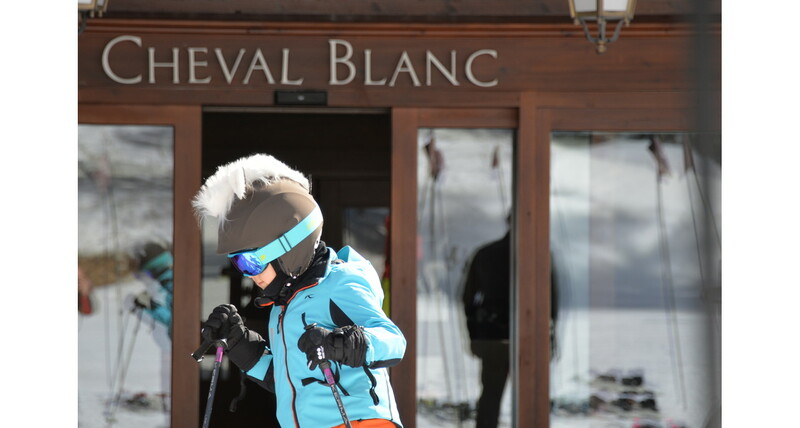 With a flick of a magic wand, a world of fun and games, secret alcoves, slides and portals to another dimension hold the promise of adventure - all whilst under the watchful eye of Le Carrousel Ambassadeurs. A futuristic hideaway, Le Paddock is a hang-out for teenagers. Outfitted with made-to-measure table football and countless interactive games, Le Paddock transforms into a private screening room for a moment of silver-screen relaxation. The Maison's Alchemists are always on-hand to design family activities and experiences to enjoy - big or small. Every season, the Maison presents new adventures to experience the maximum mountain potential, from sledge-dog races, to snowman ateliers.